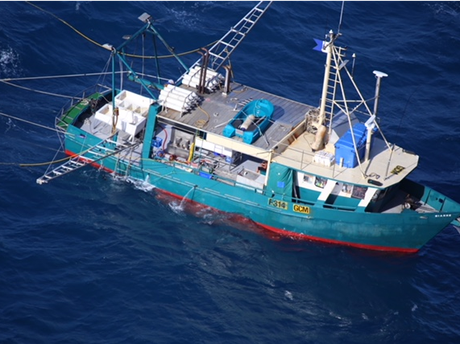 POLICE divers have recovered the bodies of two men from the wreckage of the fishing trawler Dianne. The trawler sank off the coast of Seventeen Seventy on Monday night and is now laying on the seabed on its roof in about 30 metres of water off Round Hill Headland. 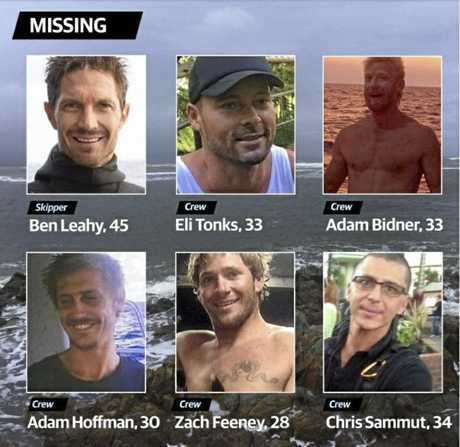 The identities of the two men are yet to be confirmed, and four more men are still to be accounted for. The bodies have been brought to the surface on board a police vessel and will be brought back to shore tonight, at which point police will begin the process of identifying the men. Inspector Darren Somerville said the families of the six men had been informed of the find by police. "It's not the best scenario... we hoped, obviously, that we would be able to clear the whole vessel today. That hasn't happened," he said. "(The families) are understanding. Obviously they're upset, and we'll just see how it goes tonight with identification of the bodies. "We hope to clear the boat as soon as we can so that we can get some closure for the families and obviously reunite the families with their loved ones." Inspector Somerville said the underwater search had been hampered by poor visibility as well as a large amount of debris inside the vessel. Police divers, working in teams of three, are only able to remain under water for 13 minutes at a time before they are required to take an hour-long break, due to the depth of the dive. Most of that time under water has been spent removing material from the wreckage. Two bodies recovered: Inspector Darren Somerville addresses the media at Gladstone Police Station this afternoon. "This has taken quite a while," Insp Somerville said. "There's a lot of debris including mattresses, fridges, freezers, blankets, life-jackets... everything that you'd expect to see on the inside of a boat, which makes it extremely difficult for the divers to see. "It's really at the edge of (their) capability as police divers... they're still clearing debris from the wheelhouse at this stage and are just starting to get below." The police vessel Conroy will remain at the dive site overnight before the search continues at first light tomorrow morning, weather permitting. 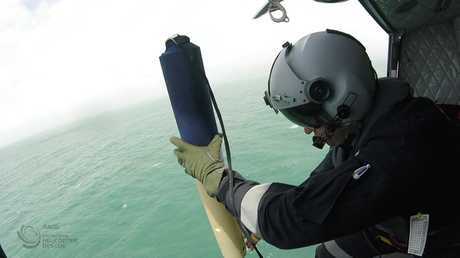 A five-nautical mile exclusion zone remains in place around the wreckage. Investigations are yet to commence into what exactly caused Dianne to capsize on Monday night. Inspector Somerville said police were focused on clearing the boat's wreckage before they turned their attention to the events that occurred in the lead-up to the sinking. "The first thing is to get the bodies, then we'll worry about what caused (the capsizing)," he said. Police were originally alerted to the missing vessel after a passing yacht rescued survivor Ruben McDornan from the ocean on Tuesday morning. He had suffered cuts and bruises and was suffering from exposure after spending twelve hours treading water in rough seas. 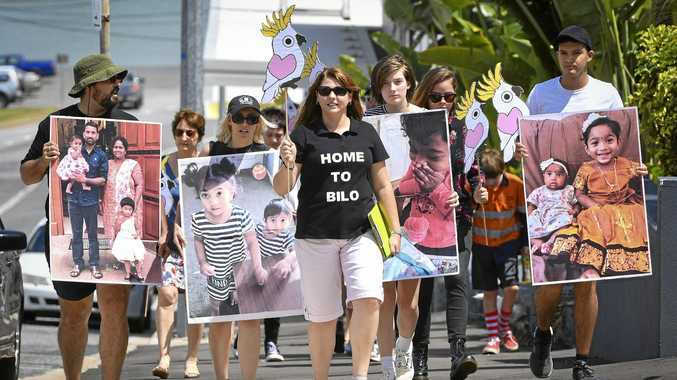 He was reunited with his family in an emotional moment at Gladstone Airport on Thursday. Sunken trawler survivor reunites with family: Ruben McDornan survived 12 hours in rough seas after fishing boat capsized. Seventeen Seventy community members have come together to establish a memorial site for the missing men at Round Hill Headland. 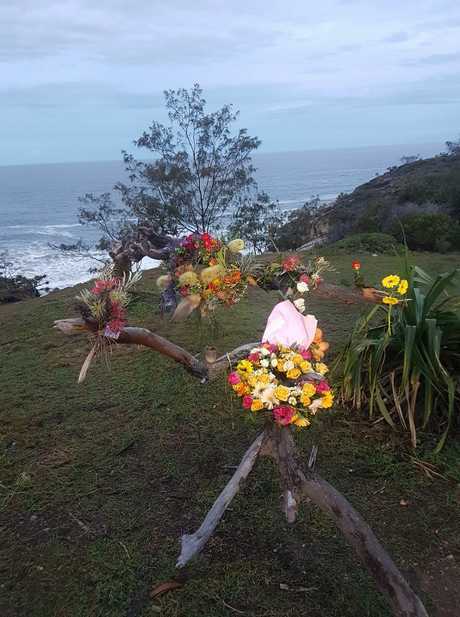 Tributes of native flowers have been laid over the course of the day at a large branch overlooking the bay where the wreckage was found.